I sat down again and worked on the color scheme. I'm much happier now with the result on the body and the transition to the tail. It is exactly this model that you mentioned that gave me the idea to make this species. Therefore I hope that because of the nest the figure will not be much more expensive. It looks great DinoToyCollector. 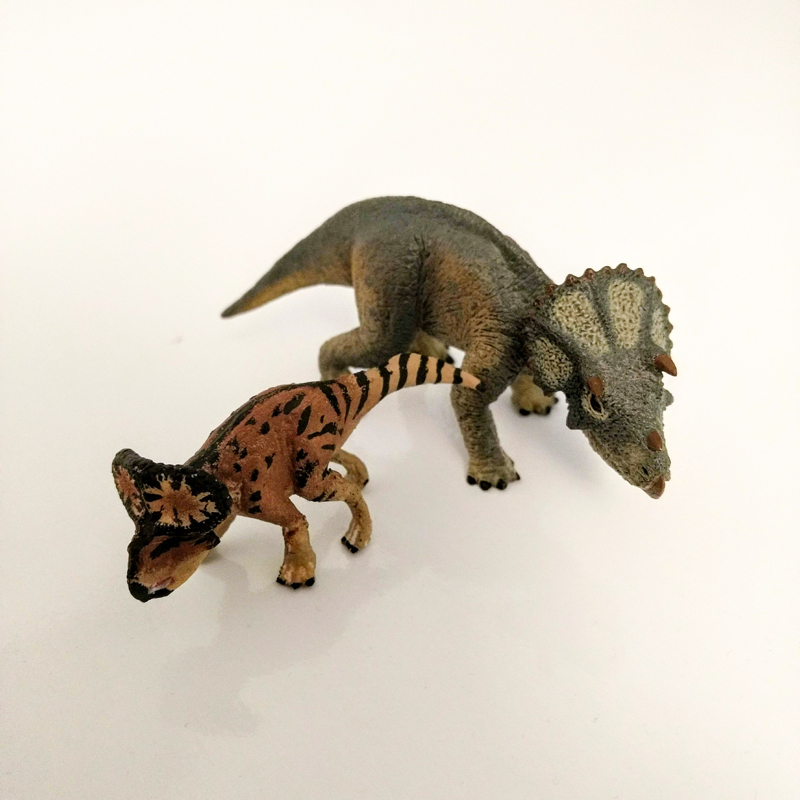 It is a precious protoceratops figure to date is the best of all toy dinosaur brands. A scale figure very well finished. The prototype looks very good, I congratulate you. It seems to have printed the details nicely. I somehow missed this thread, so I have to say, that's an awesome protoceratops. 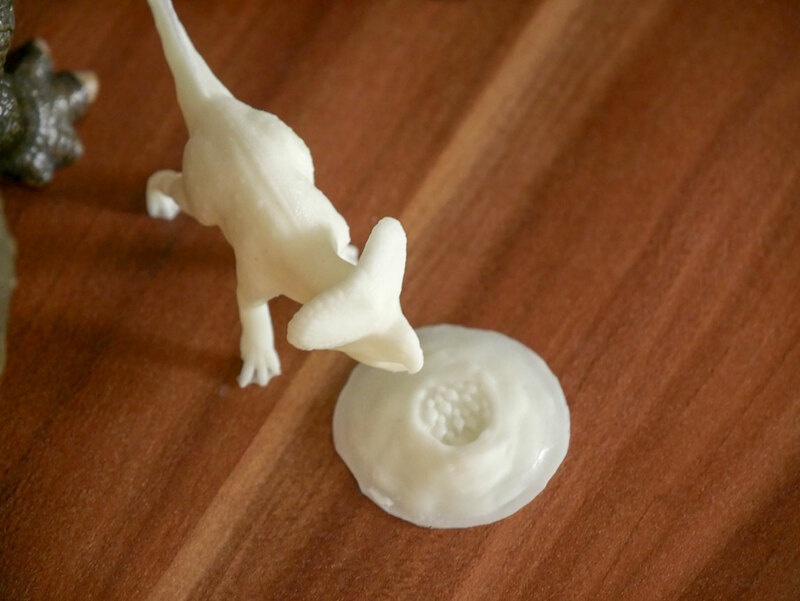 This model is looking really nice DinoToyCollector! Does it come with that nest? At this point I think that if you sell it I’ll buy one. 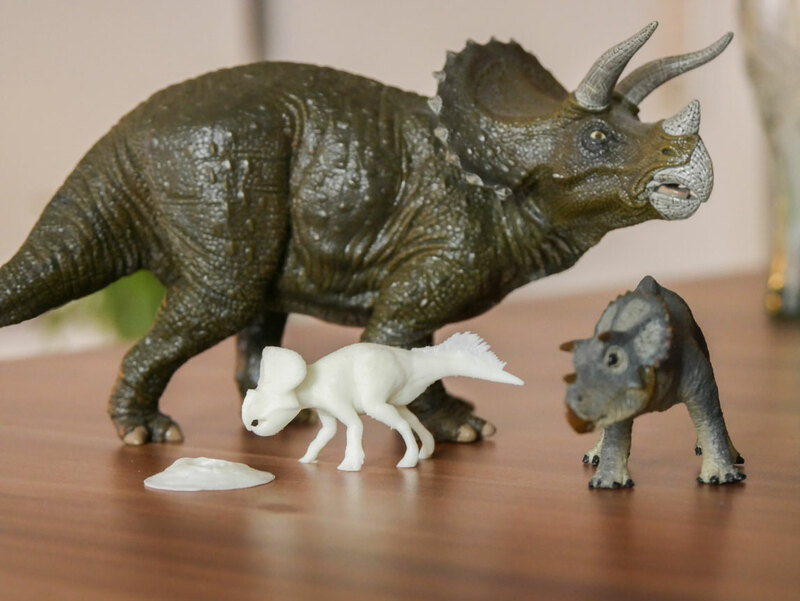 You have a secure DinoToyCollector buyer of that protoceratops and its nest. I really like your work. I think the details show good. And it's a really good piece. You have a buyer! I'm really liking the progress so far and it's amazing how much detail you've got onto such a small model. I love tiny toy dinosaurs, so I'm fine with 1:35. However, I can't help thinking that something like a 1:10 would look great alongside Doug's Safari Velociraptor, so that's something to think about for the future. Beautiful model. As Shonisaurus has mentioned, there are not too many Protoceratpos out there, so it would be pretty popular between the Forum members. In addition to that, it is very well detailed! I also made a copy of the Protoceratops (it unfortunately lost its quills in the process) and painted it to see how it works. I'm not the best at painting 3D models, but I'm pretty happy with the result. 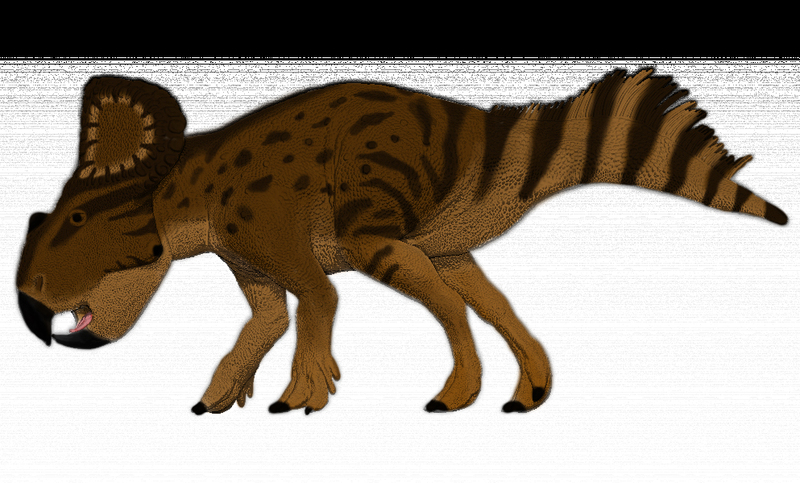 Okay, the protoceratops although I would have preferred it had barbs. By the way the other figure what hadrosaurio you have projected? 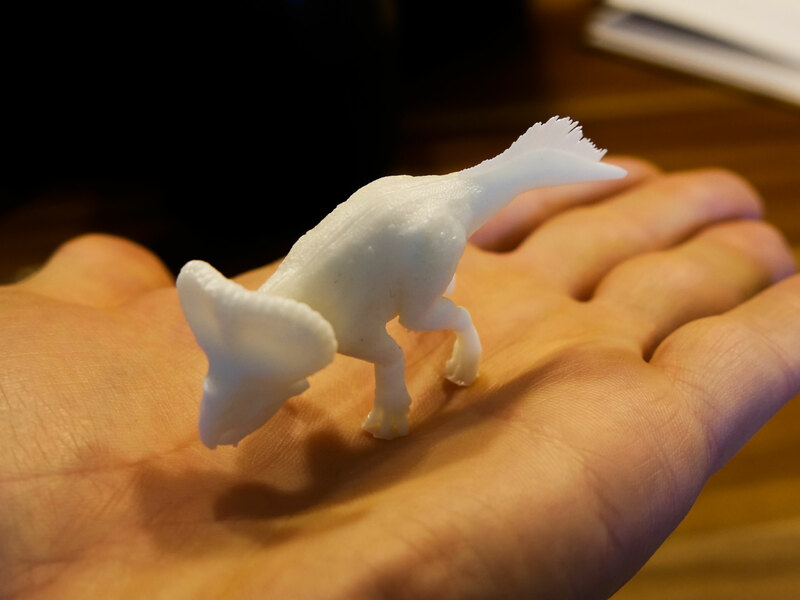 Is it the same size as the protoceratops? 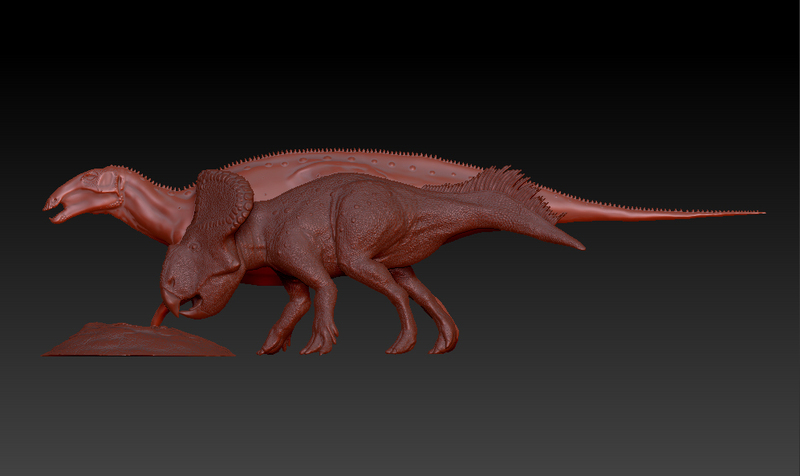 Yes, the hadrosaurid is in scale with the Protoceratops. If you are worried that there are only small pieces/species, then I can reassure that figure #3 will be twice the length of the hadrosaur. 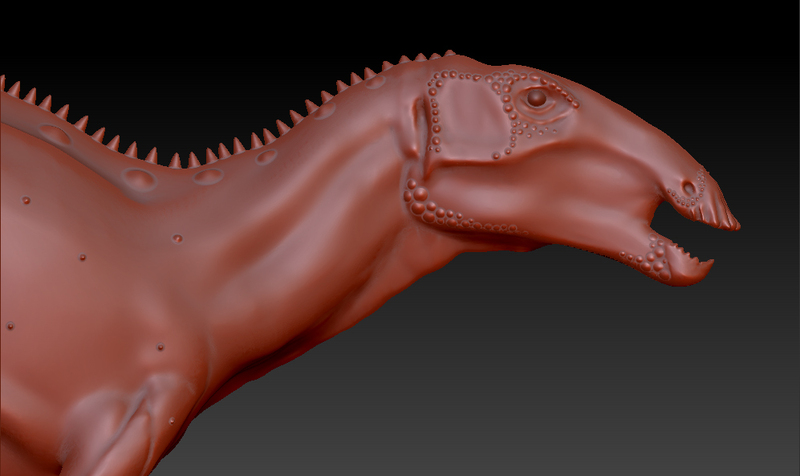 But before there is a chance to get all of them produced, i need to get finished with the Protoceratops. The hadrosaurid by the way is a Tethyshadros. @DinoToyCollector Thanks for the info. You explain yourself as an open book metaphorically speaking. You are a sun. At the start i was worried about how the Protoceratops would have looked like painted, but it looks simply Wonderful! Also, the Tethyshadros, looks really nice! Tethyshadros would be the first dinosaur to be a collection figure if I'm not mistaken. It is a very obscure dinosaur. I congratulate you DinoToyCollector. Ooh, a Tethyshadros! That would be a very welcome addition.